The tooling ball is often used for measuring the size of cone shaped holes. 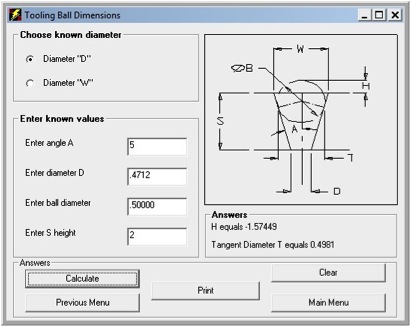 You can calculate how much the ball sits above or below datum surface S.
An answer with a minus value indicates that the ball is below the surface. The tangent diameter is given so you can tell if the angle surface is large enough for the ball to rest tangent to the angle.